Activision Blizzard is bolstering its eSports broadcasting network with new content to make games more watchable and understandable, and the company has further announced that it's hooking up with Facebook to bring professional gaming to a wider audience. 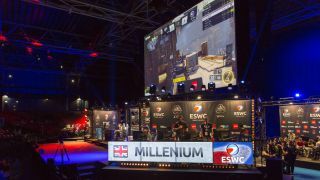 The company plans to kick off this collaboration with the social network at the MLG (Major League Gaming) Anaheim Open, a Call of Duty: Black Ops 3 tournament that starts on June 10. This will see content piped through to Facebook which its 1.6 billion users can tune into if they wish (presumably live action – that's certainly the idea eventually, but the firm didn't specify that in the press statement, so it could just be highlights for this initial outing). Furthermore, the new features for Activision Blizzard's MLG.tv network will also be introduced at this event. Going by the name of EVE (Enhanced Viewing Experience), this includes serving up match stats, live leaderboards, highlights and insights on the game being watched. That will be useful to make things clearer for novices, but it also gives other viewers handy at-a-glance details on the match being broadcast. As part of the new content, the company is also bringing news, interviews and highlights to viewers, with slots hosted by veteran broadcaster and ex-pro gamer Chris Puckett. Facebook users can expect more MLG.tv live streamed gaming events and musings from Puckett down the line. Steve Bornstein, Chairman Activision Blizzard Media Networks, commented: "We're building a network dedicated to the thrill of competition and the passion of the fans. MLG.tv will play a defining role in realizing the full potential of this audience by creating meaningful, memorable and shareable content." In another first, Sky recently showed highlights of the Intel Extreme Masters tournament. But is eSports ruining PC gaming?